"Inception" Tops Sound Editors Golden Reel Awards! Check Out Complete List of Winners and Nominees! I saw this film and was blown away by the technical shortcomings, more specifically, how out of focus this entire film is. I'm not a regular Imax viewer, and this may be a very common problem, but it seemed as if virtually none of the film was in focus. I'd say less than 20-30% of footage had a clear focal point, and that was typically less than 10-20% of the total screen. The only exceptions were scenes involving CGI maps. 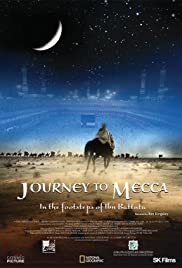 The topic was interesting, my knowledge of the hajj was limited prior to seeing this, and the film created the 14th century cities with style, but technical issues impacted my enjoyment of this film. It's a shame too, there are so many seemingly beautiful desert landscapes in this movie.